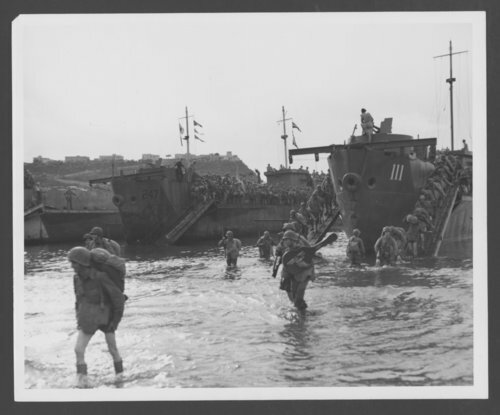 This black and white photograph shows United States amphibious assault ships known as LCIs landing with U.S. troops along the shore of Naples, Italy. The city was destroyed earlier by Allied air raids. In the foreground an American solider is packing a guitar case as he makes his way to shore.